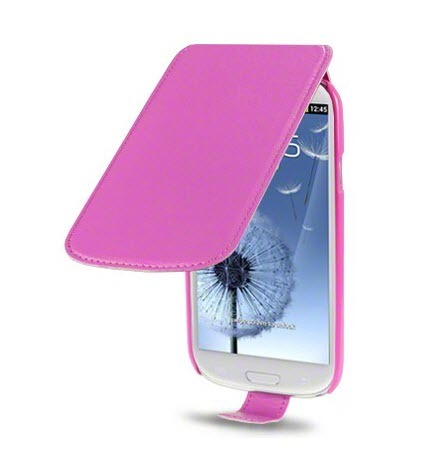 Samsung is very busy to expanding the palette of available colors for its Galaxy S III flagship. Only three weeks ago it announced four new versions of the quad core smartphone. Now it surprisingly announced the fifth one. Yes, that fifth version will be in pink color and will be available in Korea from next week. This brings the total number of choices for the color of the smartphone to seven, after the initially available Pebble blue, Marble white and the four new versions of Amber Brown, Garnet Red, Sapphire Black and Titanium Grey. One sad thing is that the availability of individual colors will vary by region. There is a lot of chance to get whatever color you prefer all around the globe in time for Christmas. Other than the new color the specs should by all means remain the same, including the quad-core 1.4GHz Exynos processor, 1GB RAM, 4.8″ Super AMOLED HD 720p display, 16/32GB storage with microSD support, 8MP rear camera, 1.9MP front camera, 2100 mAh battery, and Android 4.0 Ice Cream Sandwich with TouchWiz UI.